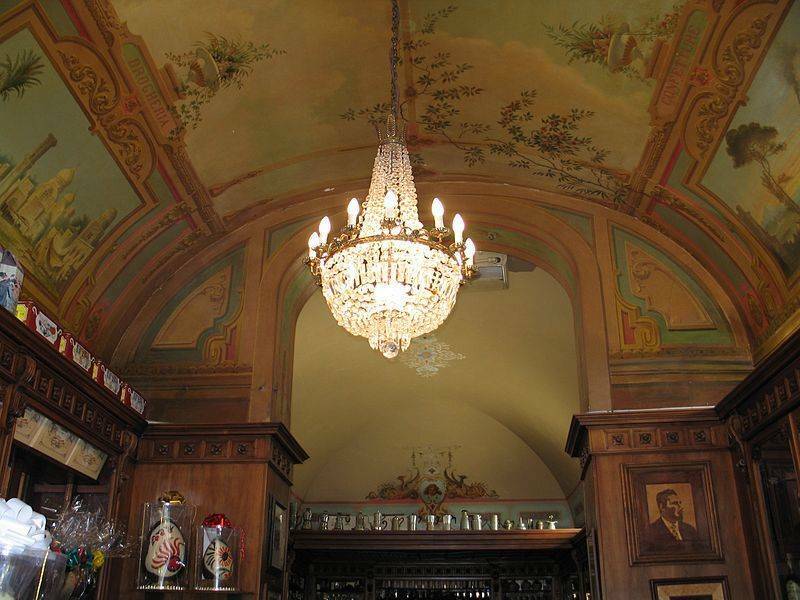 To back up a little: Sandri is—was?—an icon, a Viennese style bar-caffè that anchors the Corso Vannucci. The Corso is Perugia’s Main Street, a pedestrianized thoroughfare that’s the site of one of Italy’s best evening passeggiatas. 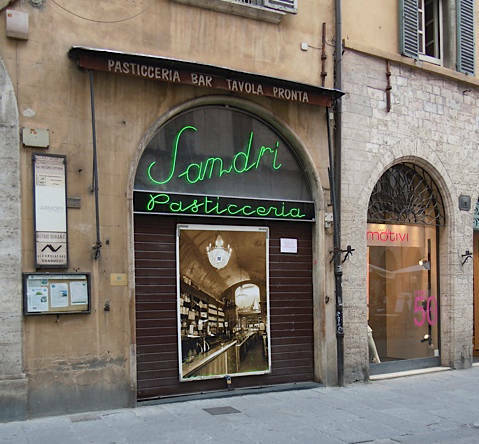 Sandri is where you buy a special dessert when you’ve been invited to Sunday pranzo, a place where elderly Perugian women would stop for an espresso with panna, or maybe, if they’re being a little naughty, an aperitif. 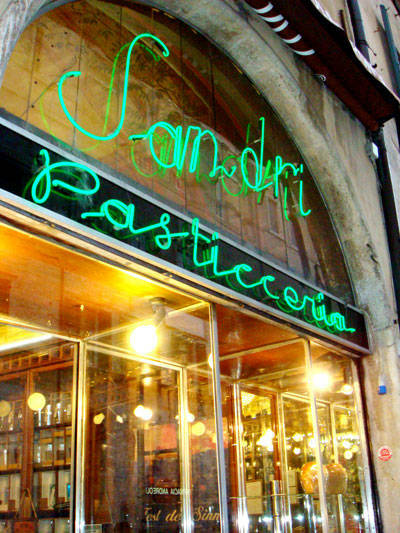 So the famed pasticceria’s closure comes as a shock, another shock during an economic crisis that doesn’t want to let go. Apparently, the crisis is mainly to blame; Sandri operated a catering business that supplied the profits; the bar was losing money. With fewer big celebrations, its catering arm suffered, and the owners can’t see a way out. In fact, as you walk around Perugia’s historic center, you can see too many ex-businesses, their doors seemingly shuttered forever. There’s La Lanterna, the “creative” restaurant that occupied a prominent spot at the top of the very steep via Ulisse Rocchi, up a hill from the landmark Arco Etrusco. There’s the vegetable lady around the corner from La Lanterna. The bread shop down our street, not to mention the former Conad supermarket a few steps from the Università per Stranieri, one of Italy’s most prestigious language schools for foreigners. Who’s to blame for the hollowing out of centro? I was going to talk to the city’s mayor, a genial and progressive man named Wladimiro Boccali. Instead, I got an earful from the people of our area, the Borgo Sant’Angelo, at a recent neighborhood block party. “It’s empty, it’s becoming a museum,” asserts Graziella (I’ll just use their first names, because no one knew—I didn’t know at the time—that I’d use their comments.). Referring to the city’s latest big public works project, the innovative Minimetrò (it’s a small metro system), “it costs young people 3 euros to come and go from the outskirts. It stops before 9:30. It’s crazy, and they wonder why no one’s opening new businesses?” Another cites high rents, and the chain stores like Foot Locker, not to mention Feltrinelli, the Italian book chain. 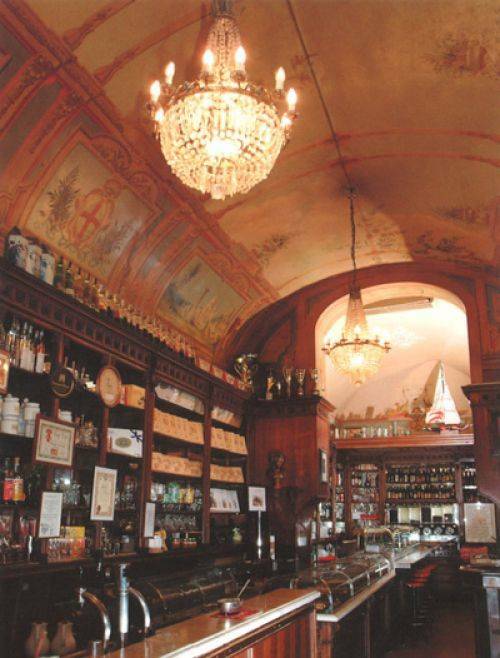 It’s a terrific store, but it chased out indies like the Libreria Oberdan. “This city does great festivals, but centro needs support every day,” Antonio chimed in. But still…Perugia really does deliver on the festivals. There’s Eurochocolate in October, appropriate for the city that’s the home of the famous Italian chocolate kiss, the Perugina Baci. (Perugina is now own by Nestlé, but let’s not go there just now.) In the spring, there’s the incredible (for us scribblers) International Festival of Journalism, where the world’s great reporters, editors, and bloggers get together to figure out where media is going, and share reporting tactics. 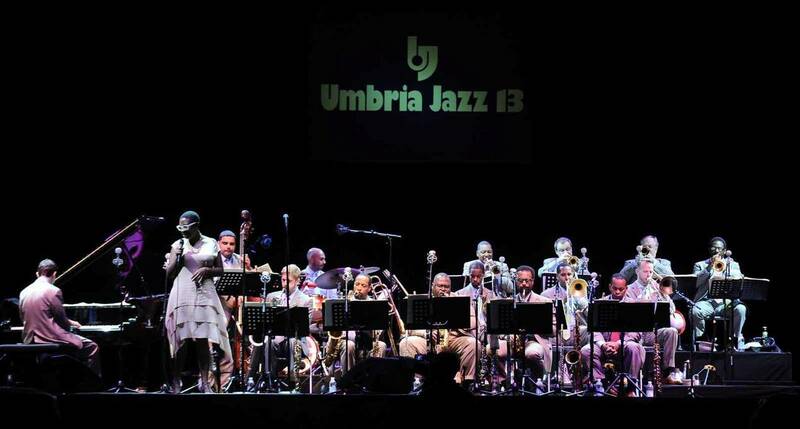 If it’s July, however, it’s time for Umbria Jazz. For a week, the city becomes a big party, the Corso Vannucci a combination dance floor, parade crowd, and kitchen. Stands sell beer and wine, while two big stages, one in the main Piazza IV Novembre, the other set up at the opposite end of the Corso in the Giardino Carducci, feature free live music. The festival’s definition of “jazz” is fluid. We saw R.E.M. perform on their last tour a few years ago, while this year featured performances by the like of John Legend and Brazilian legend Gilberto Gil. 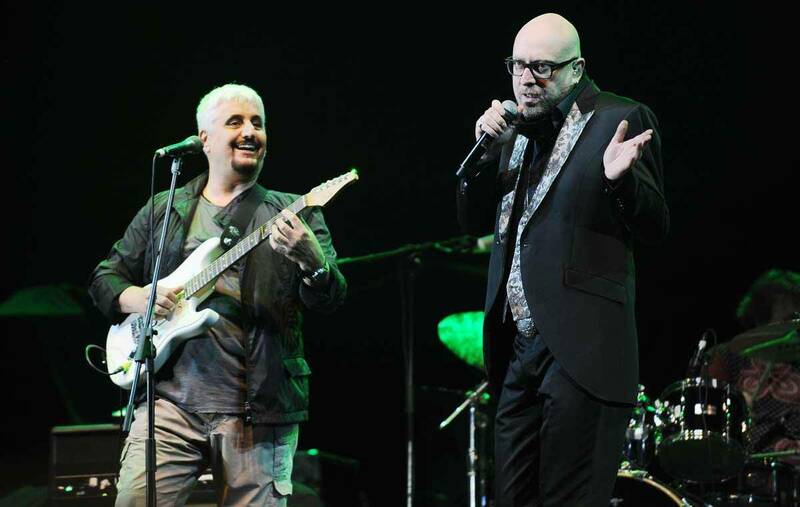 Closer to the jazz roots, this year also featured Wynton Marsalis, Herbie Hancock, and Diana Krall, as well as Italians Pino Daniele and Mario Biondi. 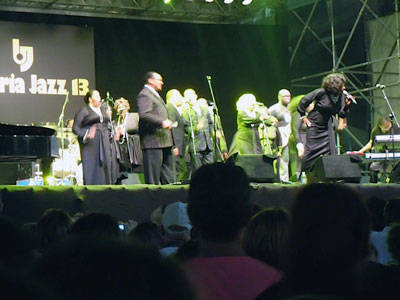 One night we wandered up the hill to the Piazza IV Novembre, where Dr. Bobby Jones & the Nashville Gospel Superchoir whipped up the crowd into a frenzy with American gospel standards. They finished off with an ecstatic version of “Oh Happy Day,” as thousands of us crowding the piazza and the Corso sang along. Maybe the economic crisis will pass, and Perugia—as well as Italy—will see happy days again. It’s hard to imagine it right now. But I fear it will take more than a rise in GDP to ensure that Perugia’s historic center, and that of other cities here, remain vibrant, living places, and not backdrops for day-tripping tourists and festival goers.